Sharmeen Obaid-Chinoy was born on November 12th 1978, and is a Pakistani journalist, filmmaker and activist. 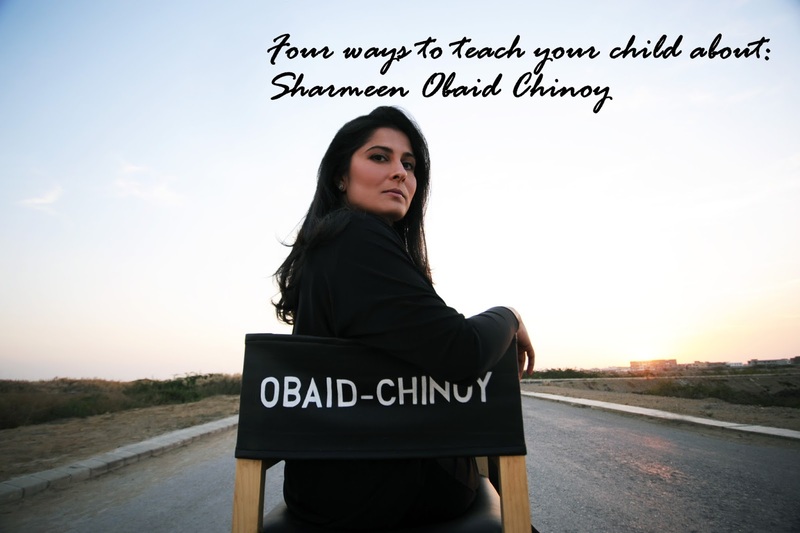 She has won many awards for her films such as Academy awards and Emmy Awards and she is the only Pakistani to have won two Oscars. 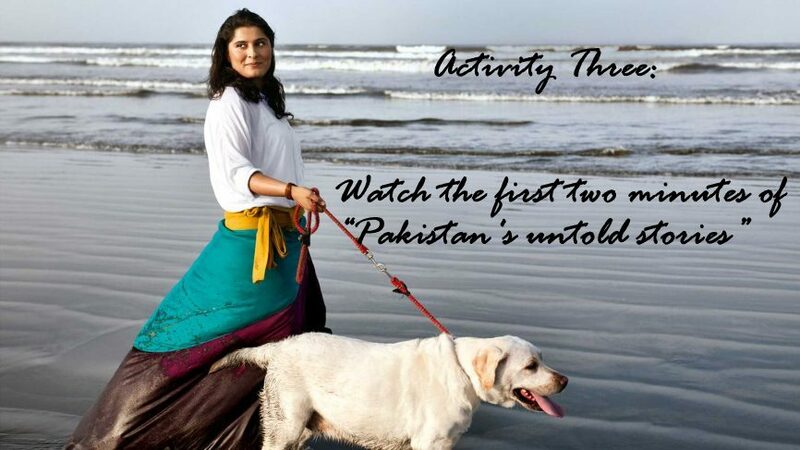 In 2012, the Pakistani government awarded her with the Tamgha-e-Imtiaz, the second highest civilian honour of the country. In 2012, Time Out named her as one of the most influential people in the world. She is one of only 11 female directors who has won an Oscar for a non-fiction film. 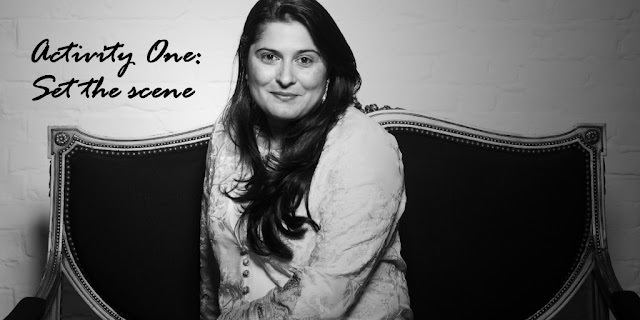 Sharmeen was born in the city of Karachi in Pakistan. Can you find it on the map? Bahadur 3 (which means three brave ones) is a 3D animation which Sharmeen produced and directed in 2015. 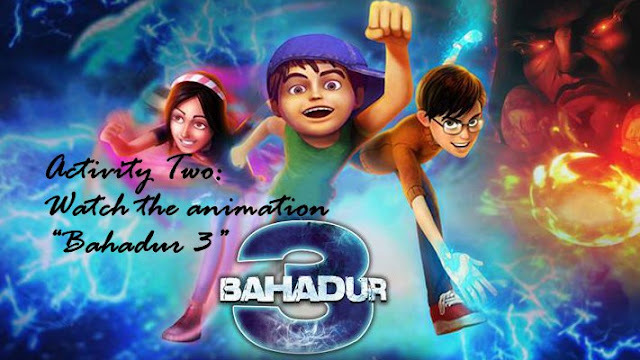 It was the first computer animated feature length film in Pakistan. The story focusses on three eleven year old friends who want to protect their community from the evils that have invaded their city. 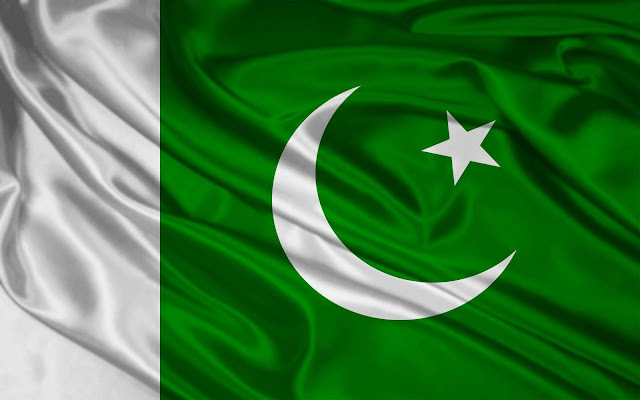 The film was the highest grossing animation in Pakistani cinema and the 7th highest-grossing film of Pakistan to date. Which superpower would you like to have - super speed, super hearing or super intelligence? Who was your favourite character in the film - Saadi, Kamil or Amna? Would you like to become a film-maker and if so which kind of film would you like to make? 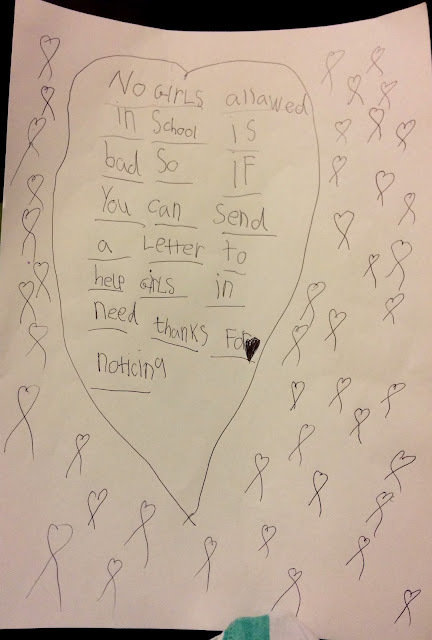 After you have watched the clip, discuss what your child thinks about the fact it is difficult for many girls in Pakistan to get an education. My daughter Malika was horrified and wanted to run a poster campaign in Leith, the area we live in Edinburgh, as you can see from the below poster and the Instagram link, which is a video of Malika in full activist flow!! 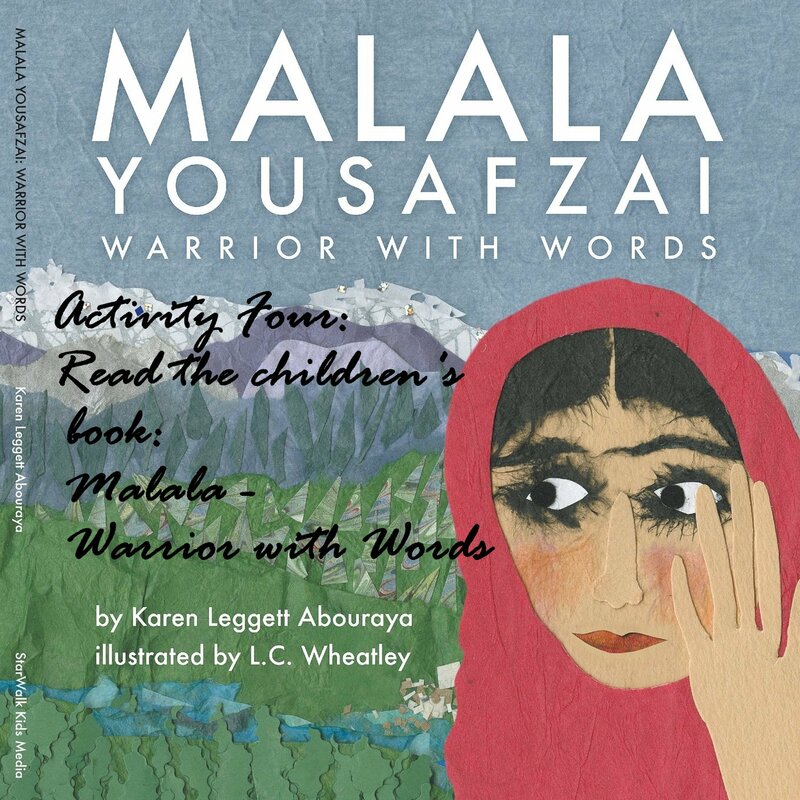 As a follow on from the discussions on Sharmeen, you could explore the life story of another great Pakistani female activist, Malala Yousafzai. March 1 modernmami on Multicultural Kid Blogs: 3 Reasons Why We Celebrate Women's History Month March 2 The Jenny Evolution: More Children's Books About Amazing Women March 3 Colours of Us: 32 Multicultural Picture Books About Strong Female Role Models March 6 modernmami: 103 Children's Books for Women's History Month March 7 A Crafty Arab: The Arab Woman Who Carved Exquisite Beauty into Science March 8 Hispanic Mama: 5 Children's Books About Latina Women March 9 MommyMaestra: Free Download - Women's History Month Trading Cards March 10 MommyMaestra on MommyMaestra on Multicultural Kid Blogs: Celebrating Women's History Month March 13 Crafty Moms Share: First Ladies and Eleanor Roosevelt March 14 Mama Smiles: Write Down Your Family's Women's History March 15 Bookworms and Owls: Ruth Bader Ginsburg - Associate Justice of the Supreme Court March 16 Creative World of Varya: 6 Quotes About Women from Various Religious Writings March 17 Knocked Up Abroad: 7 Ways Swedish Women Can Revolutionize Your Life Today March 20 La Cité des Vents on Multicultural Kid Blogs: Women in History or Women's Stories? 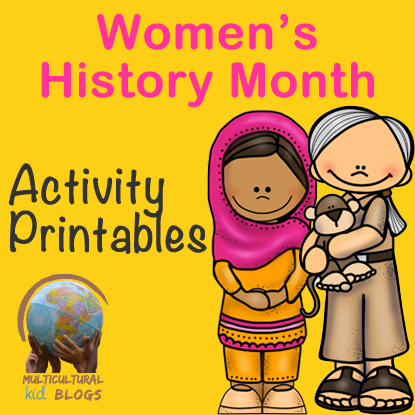 March 21 Pura Vida Moms March 22 Melibelle in Tokyo: After Devestation, Life - Miki Sawada Mothers 2,000 March 23 All Done Monkey: Girls Who Changed the World March 24 playexplorelearn March 27 Family in Finland March 28 the piri-piri lexicon March 30 Let the Journey Begin Don't miss our Women's History Month Activity Printables, on sale now! 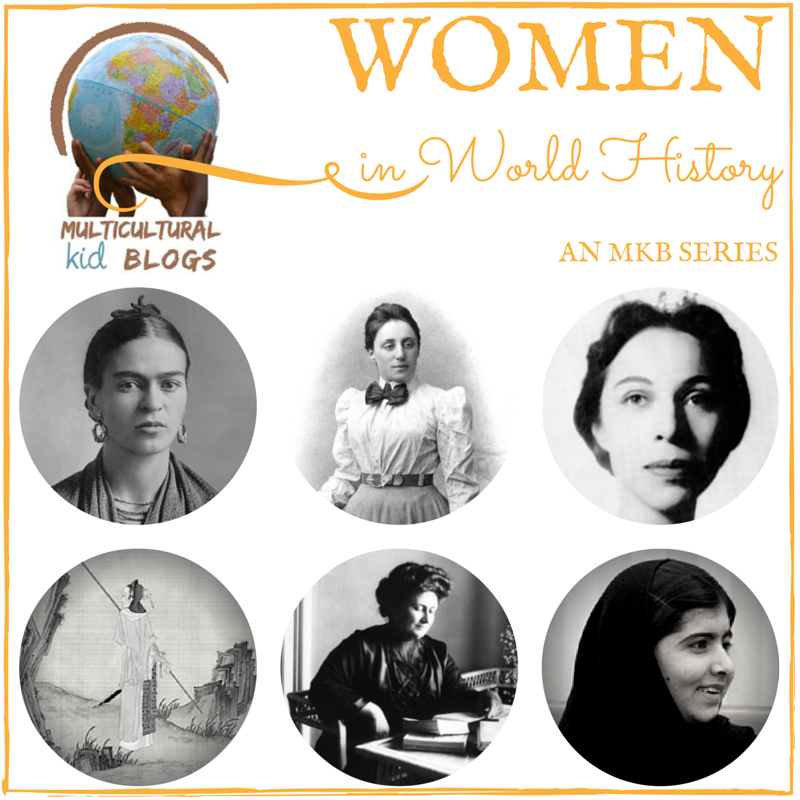 Nice and well written post about "Sharmeen Obaid-Chinoy: Women in World History - A Multicultural Kids Blog Series"